This game today is a difficult one to call you know. Ten years ago a team that goes up against Arsenal to ‘play football’ used to be an absolute dream for us, because we’d soon put them to the sword. But ever since Swansea and Michu all those years ago, teams have been able to have go at us whilst still playing football, so when we line up against Eddie Howe’s Bournemouth in a few hours time, the worry is that they will be able to outplay us and damage us if we’re not at the races. Unai Emery needs to find the right formula with the players he has though. He needs to suss out where Bournemouth are weakest – potentially on the flanks if we can push them back somewhat – and exploit that. It’s why Kolasinac and Bellerin could be particularly important today. If they can pin back Bournemouth’s full backs then we might be able to expose them. But at the same time they have to find the balance right because Bournemouth’s style of play is that they will look to hit us on the counter with rapid speed. They’ve got quick players in Wilson and Fraser and their style of play incorporates through balls and taking advantage of the pace they have. Which means a lot of yards will need to be put in for our back line as I suspect Bournemouth will want to pull us about a bit. We know we give chances away – too many chances – but we’re starting to accept that it’s just us. We’ll do that today but we have to hope that we have another in form ‘keeping display and that at the other end we’re a little more productive than the last couple of games. Aubameyang, Lacazette, Özil, all need to step up because against Wolves they were really, really, poor. Perhaps that’s because Wolves were very organised and disciplined and it stifled the creativity of those players, but given their respective technical quality and ability, the reason they’re paid what they are paid is to deliver against all opposition. They didn’t do that last time out and so it’s time they did today. Personally I’d like to see Unai replicate Fulham format and go two up top with Iwobi and Özil in as wide midfielders, with the latter being given license to drift infield. Having the Bournemouth defence occupied through movement of Laca and Auba through the middle may be enough encouragement to pin them back and so I’d hope a Unai has that in his mind today. 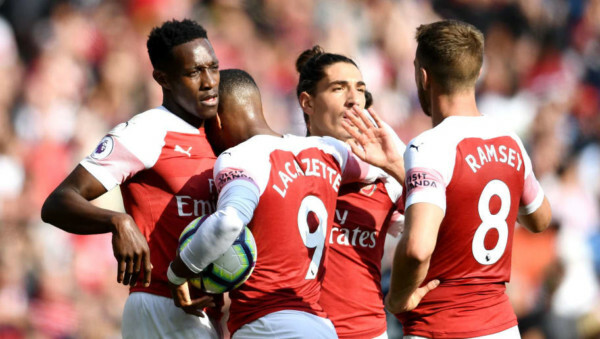 In midfield it will most likely be Xhaka and Torreira and their roles will involve controlling the possession of the football but I also suspect Emery will want them to win the ball back higher up the pitch to cut out the propensity for Bournemouth to attempt through balls in behind. It makes sense talking about it now but if Bournemouth get in behind our press again and again it could be a tough afternoon for our midfield and defence. And it’s a defence I’d be bringing Sokratis back in to. Holding has been good but Sokratis is more mobile and so could probably cope with the pace and counter attack of the Bournemouth attack a little more than Holding would. So I’d be going with Sokratis and Mustafi in the centre with Leno in goal behind them. It won’t be easy, it’ll probably be decided by just one goal difference, which is why we need to start a half better than we have done all season. If we do then if fancy our chances but we haven’t seen that in the first half all season, so I’m not holding out much hope just yet.